This week Google finally provided a timeline for the shutdown of consumer Google+ there will be changes as early as next week. Full shutdown will be on April 2nd, with the deletion of all consumer Google+ Profiles, all Google+ Pages, and their posts and Google+ photos. Photos in Google Photos will NOT be deleted and other Google products like Gmail and YouTube will not be affected. 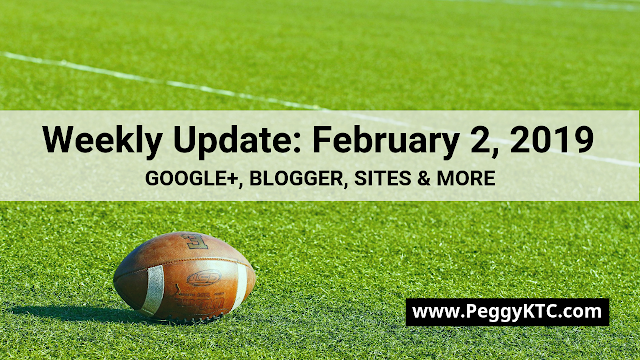 Blogger announced they will be switching blogs with Google+ comments to Blogger comments (which removes the Google+ comments), and removing Google+ widgets and buttons from blog Layouts on Monday, February 4th. In March, all accounts using a Google+ Profile will be switched to a Blogger profile. YouTube removed the option to automatically share videos, likes and playlist adds to Google+ and Twitter. If you opted into the Google Play Services Public Beta Program, shutdown of Google+ may cause issues with Google apps like Hangouts and Gmail. You can check whether you are in the Google Play Services Public Beta program and opt out here. Google announced that you can continue using classic Google Sites until 2021. New Google Sites will be getting a slew of new features, with a focus for enterprise users. Gmail mobile apps got a material design makeover and updated navigation. A major bug was discovered in Apple’s FaceTime video chat that let you eavesdrop on the person you are calling. Under the right circumstances, FaceTime starts transmitting audio before the person on the other end answers your call. In response, Apple disabled Group FaceTime and should have an update with a fix next week. Facebook ran afoul of Apple’s app policy for using their enterprise program - meant for internal app testing - to distribute an app to teens (and other customers) that tracked their online behavior. Apple revoked their enterprise certificate, which caused early iOS versions of Facebook, Instagram and other apps to stop working. Subsequently Google also lost their ability to distribute internal iOS apps, affecting test versions of Google Maps, Hangouts, Gmail and other products. This appears to have been due to Google’s Screenwise Meter app, which monitored how people use their iPhones. Both companies did have their certificates restored. Read on for more links, tips and updates for Plussers, marketers and more. Image: Sunday is the Super Bowl, which is practically a US holiday. Google Assistant has some updates, you can watch the ads on YouTube or watch the game on YouTube TV, join the “conversation” on Twitter, and find trending Reddit content and answers to your questions on Bing. Run a privacy checkup on your Google Account and Facebook Account. Now I noticed that the videos downloaded on Blogger itself no longer use the old flsh technology, but the same as YouTube. Great!